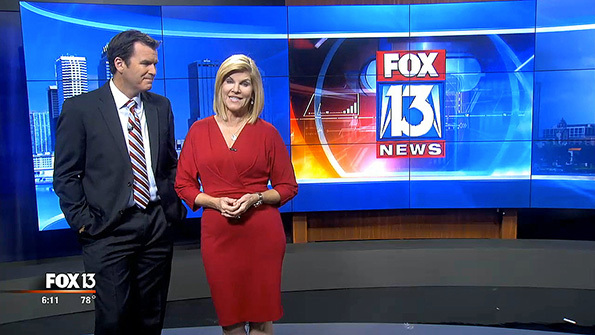 Fox’s WTVT-TV debuted a new set Monday from Devlin Design Group, retaining the station’s newsroom view but adding additional wraparound scenic elements. 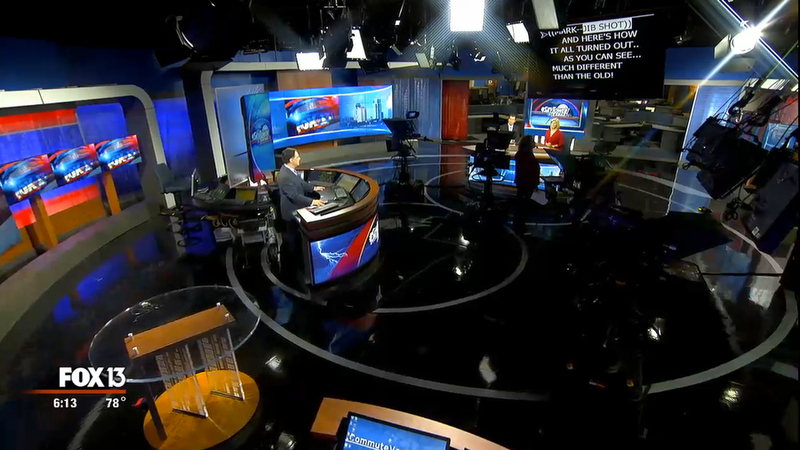 The smaller, central anchor desk gives the station flexibility to use a variety of different camera angles, including a view of the newsroom. 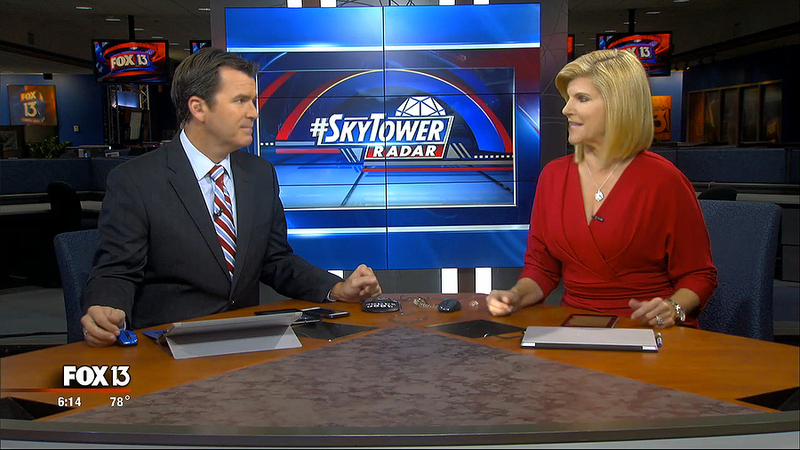 A new addition to this angle, however, is a tall 2×3 monitor stack that’s designed to be positioned between the two anchor spots at the desk, with the newsroom visible on either side. The moveable element, used for some dayparts, displays branding and graphics, along with live video. Throughout the rest of the studio are multiple video walls as well as angled frosted glass panels accented with rectangular patterns. Also included in the design are video ribbons created by the addition of video panels mounted, in a single row, jutting out from the left and right side of the larger video walls. The video walls give the station the flexibility to use the various areas for a wide variety of segments, while the video ribbons add additional branding and storytelling opportunities. The design also includes a touch screen from PQ Labs. The wraparound design of the set also provides a wide variety of cross shooting and interaction shots, which are enhanced by the use of a jib. The set, as a whole, is roughly a circle and also uses thick, silvery frames with rounded corners to anchor the elevation and divide the studio into recognizable sections. Also included is a large, horseshoe shaped working weather presentation pod with a vertically mounted flat screen to one side, in addition to the other video walls behind the forecaster position. An additional frosted glass panel adds a nice touch of depth to this area as well. 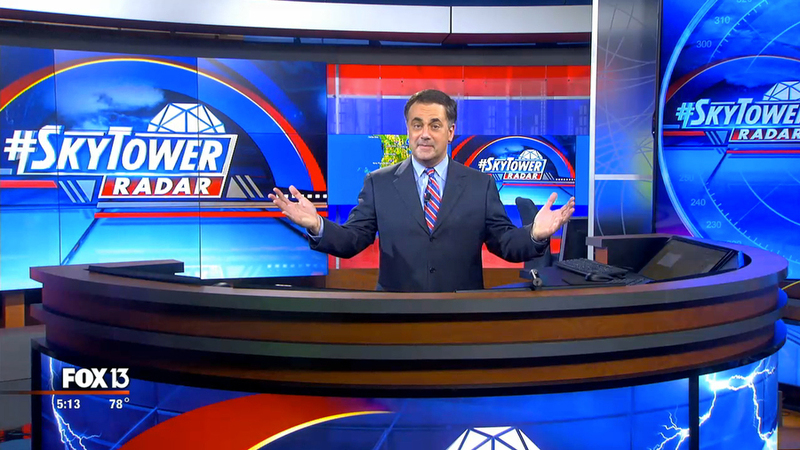 The updated studio also boasts a chroma key wall, though the station, like many others, also uses the video walls for weather updates. The new set also boasts a clear circular table and additional presentation pod and additional standup areas. Devlin also designed the set for Fox’s WAGA-TV, which won a Set of the Year award in 2015. Also debuting with the new set are some tweaks to the graphics package, which retains its red, blue and white motif but features a simplified look with fewer but broader rings in the design. 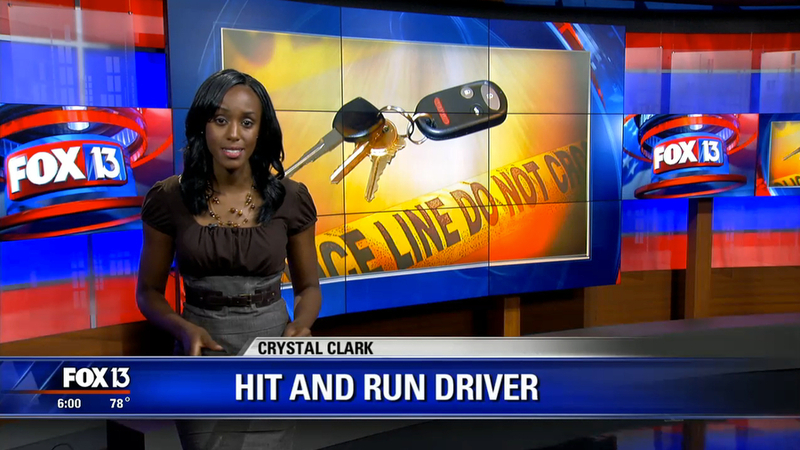 The station’s lower thirds have also been modified to fade out on the right side along with other subtle changes.